I’m definitely on a mission to see as many of the musicals that I’ve missed over the years as I can. 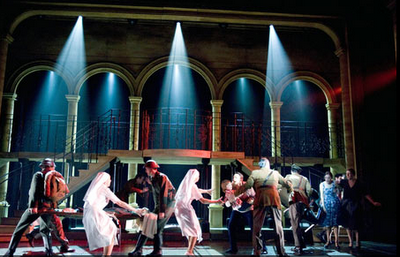 This year there’s a bumper crop of revivals on tour so I’m managing to cross a few off. 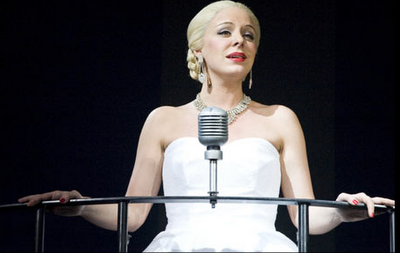 Today it’s Evita. The story goes… “It is 26th July 1952. 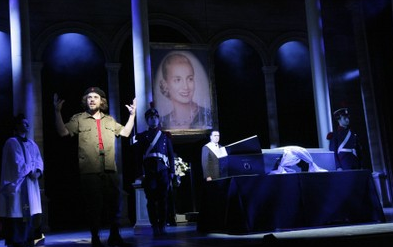 A young Argentine student, Che, is among the audience in a Buenos Aires cinema when the film is stopped by an announcement that Eva Peron, “the spiritual leader of the nation, has entered immortality”. Eva’s funeral is majestic, a combination of the magnificent excesses of the Vatican and of Hollywood. Che is the only non-participant. 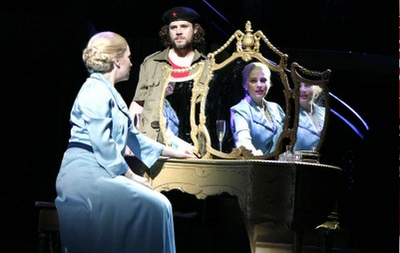 Throughout the opera the role of Che is that of commentator and observer. Flashback to 1934. A night club in Junin, Eva’s home town Eva Duarte is just 15. 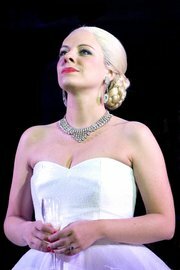 She asks the singer appearing in the club, Agustin Magaldi, with whom she has had a brief affair, to take her to the big city – Buenos Aires. He is reluctant, but she gets her way. Once in Buenos Aires, Eva quickly disposes of Magaldi and works her way through a string of men, each of whom helps her one rung more up the ladder of fame and fortune. She becomes a successful model, broadcaster and film actress. 1943. Colonel Juan Peron is one of several military leaders close to the presidency of Argentina which in recent years has proved a far from secure job for its tenant. At a charity concert (featuring Eva’s old friend Magaldi) held to raise money for the victims of an Argentine earthquake, Eva and Peron meet. They both realise that each has something the other wants. From now on Eva hitches her ambitions to the political star. She evicts Peron’s mistress from his flat and moves into Peron’s life to such an extent that she excites the extreme wrath of two factions who were to remain her enemy until her death – the Army and the Aristocracy. As the political situation becomes even more uncertain it is Eva rather than Peron who is more determined that he should try for the highest prize in Argentina – the presidency, supported by the workers whose backing she and Peron have long cultivated. 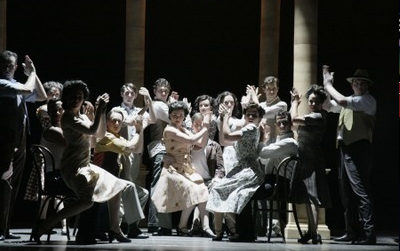 Eva’s ambition is fulfilled, and from the balcony of the Casa Rosada on the day of Peron’s inauguration as president, the vast crowd gives Evita, now Peron’s wife, an even greater reception than that accorded to Peron – thanks to her emotional and brilliant speech and to her striking appearance. 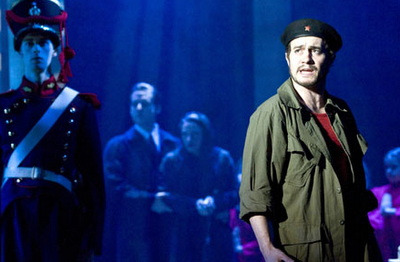 Che notes and experiences some of the violence that was never far away from Peron. Che asks Eva about herself and her success but does not meet with a great response. Eva’s main concern is her forthcoming tour of Europe which begins in a blaze of glory in Spain but meets with later setbacks in Italy and France. She never gets to England at all. On her return home, Eva resolves to concentrate solely on Argentine affairs, undeterred by continual criticism from the society of Buenos Aires. Che points out that the regime has to date done little or nothing to improve the lot of those Eva claims to represent – the working classes. Eva launches the Eva Peron Foundation, which is a huge concern of shambolic accountancy and of little practical benefit to the nation’s economy but which helps to elevate her to near goddess status in the eyes of some of those who benefited from the Fund – including children. Che’s disenchantment with Eva is now total. He sneers at those who adore her and for the last time tries to question her about her motivation and the darker side of the Peron administration. Eva’s response is that of the pragmatist, ‘There is evil ever around, fundamental.’ She has realised that she is ill.
Anti-Eva feeling among the military reaches new heights and Che lists several of the major failures and abuses of the Peron administration. He draws attention to her illness. 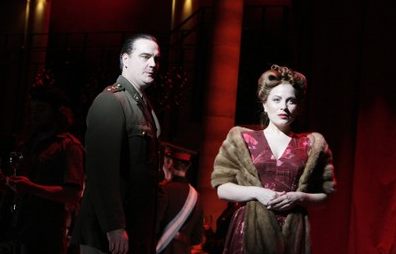 Peron and Eva discuss the worsening situation – he is losing his grip on the government, she is losing her strength. Eva refuses to give in to her illness and resolves to become vice-president. But the opposition to her from the army is too great; more importantly her body lets her down. She knows that she is dying and makes a broadcast to the nation, rejecting the post of vice-president, a position she knows she could never have won. In her last hours, images, people and events of her life flow through Eva’s mind, while the nation’s grief knows no bounds – to the mass of the people she has become a saint. As her life draws to a close she wonders whether she would have been happier as an obscure ordinary person. Maybe then her life would have been longer…Che looks back on her short life at the same time, but hints at different conclusions. But even in death she is denied obscurity. The moment she dies the embalmers move in to preserve her fragile body to be ‘displayed forever’ although this never happened. 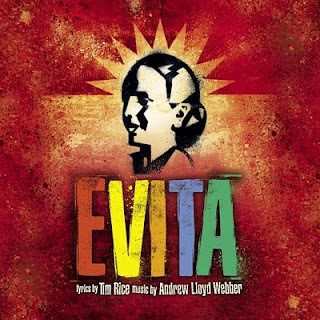 The story of the escapades of the corpse of Eva Peron during the quarter century after her death is almost as bizarre as the story of her life. 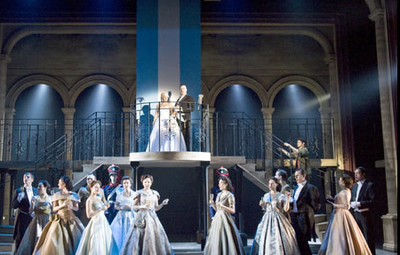 This is a sumptuous production which the photos don’t do justice to. I heard from a fellow audience member who had seen last year’s tour that this one was much richer and more detailed looking than that. 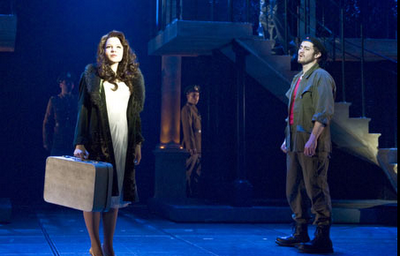 Just a great show, sung and played beautifully with a story of substance – go and see it if you can.